Christ our God, have mercy upon us and save us! Amen!" 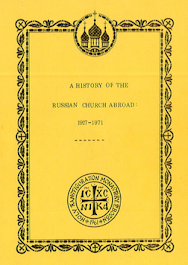 Link to view and read this accessible on-line version of this valuable history book: "History Of The Russian Church Abroad, 1917-1971"
about which Fr. Seraphim made his below astute commentary. 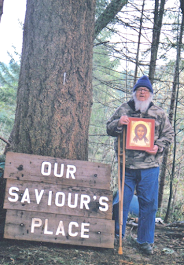 edited by Holy Transfiguration Monastery in Boston. St. Nectarios Orthodox Church, Seattle, 1972. 209 pp. It is doubtless symptomatic of the state of Orthodoxy today that this important book which reflects the mature Orthodox thought of one part of Orthodoxy in America should be precisely about Orthodox immaturityof a much larger part of Orthodoxy in America. Until the last decade or so the development of what it is perhaps still too early to call 'American Orthodoxy' had been largely unconscious, as it indeed remains in the majority of those who call themselves "Orthodox" today. But, as the history of Orthodoxy in America has made abundantly clear, "unconscious" Orthodoxy is but a step on the road to the abandonment of Orthodoxy altogether. With some of the Orthodox "jurisdictions," which neither in externals nor in faith have any close resemblance to genuine Orthodoxy, this is more than obvious. But with one of the American "jurisdictions," the American Metropolia, the unconsciousness of its Orthodoxy is not so readily apparent. 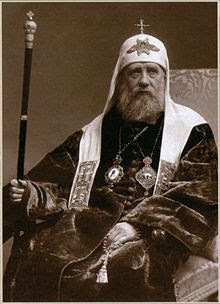 Its piety, at least in the older generation of Russian priests, is closer to the Orthodox model; some of its churches lack pews and have a more traditional appearance; no open heresy is taught by its hierarchs; and the "theologians" of its Academy enjoy a world-wide reputation for supposedly Orthodox thought. But if one looks very closely one finds that all this is but a shell within which the kernel of Orthodoxy is very dubious indeed. In order to expose the true nature of the Metropolia's Orthodoxy, a crisis was needed – some major Orthodox (or anti-Orthodox) event in the response to which it could be seen how really Orthodox the Metropolia was. 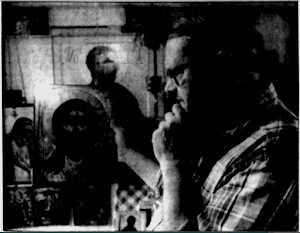 Such a crisis was provided in the "autocephaly" offered by the Moscow Patriarchate to the Metropolia and accepted by the latter in 1970. The present book is an examination of the background of the "autocephaly" scandal, and it is a very thorough one, investigating, chiefly from leading Russian sources and one important French work (in addition to Metropolia sources), the whole church situation of the Russian diaspora since 1917 and the causes for the several schisms from the Russian Church Abroad; the church situation in America; the readiness (or rather, the woeful lack thereof) of the Metropolia for autocephaly; the situation of the Moscow Patriarchate and the possibility of dealing with her as with a genuine Orthodox Church; and the gross inaccuracies and contradictions in the Metropolia's propaganda against the Russian Church Abroad and in favor of the "autocephaly" – which, as the book points out, is actually the fourth "autocephaly" that the Metropolia has tried to proclaim since 1924. 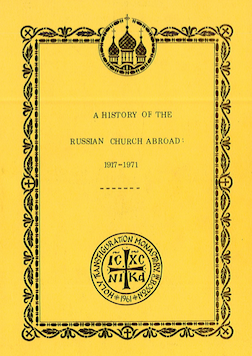 The result of this investigation, as the title indicates, is actually in essence a history of the Russian Church Abroad and gives by far the best picture to date in English of the reasons for the Russian "jurisdictional" disputes which, while confusing to many who do not know the full picture, are really basically simple and come down to a question of principle, conscience, and Orthodoxy verses the absence (or overlooking) of these indispensable foundations of Orthodox faith and life. The book of necessity is "negative," even though it is scrupulously objective, frankly pointing out the errors and lack of principle which have caused such confusion and led so many astray from Holy Orthodoxy in our times. For this reason some well-meaning Orthodox Christians may choose to ignore it, seeking to limit themselves to "positive" manifestations of Orthodoxy. But alas, such is the character of our times – indeed, such is the whole history of Christ's Church – that without knowing the negative side, the work of the Church's enemies and their often naive and well-meaning fellow-travellers – it is scarcely possible to be a conscious Orthodox Christian at all, for thereby one only holds oneself open to the sophistries of the worldly "theologians" who would make the Church the servant of indifference and compromise. This book is actually a work of confession, comparable for America to the bold underground documents that have lately been coming out of the Soviet Union accusing the betrayal of the Moscow Patriarchate: a cry of conscience from the true Orthodox Christians of America who want nothing to do with the lukewarm, respectable, harmless "fourth major faith" which, sadly, satisfies so many, but who want only the genuine unchanging Orthodoxy of the Holy Fathers. The book is the joint work of a group of Orthodox scholars and laymen. It will take its place as one of the essential books for the building of a true Orthodox Christian consciousness in America. We, as non-Russians, came to the Russian Church Abroad as spiritual refugees, fleeing the heresy of Ecumenism. We have come to love the Russian Synod Abroad and to appreciate her pastoral care for our spiritual growth and salvation. This is not only about the OCA. The method used by the MP to sucker the OCA in 197O, is the same method used by the MP, later, to sucker the ROCOR-MP union. The 2007 ROCOR-MP union is a repeat of the OCA 'autocephaly' coup-betrayal. The Memory of the Just is celebrated with hymns of praise!